This entry was posted in Safety at home on 2018/01/10 by Susan. The BC Smoke Alarm Movement wants to see a smoke alarm in every home. They’ve distributed and installed more than 41,000 alarms during the past three years. One Christmas, my friend got a smoke alarm from his grandma. I wrote about it in my post Give the gift of safety this holiday season. Thankfully, there were batteries in the smoke alarm, because it went off under the tree, after everyone had gone to bed. A blanket on a space heater had started smouldering, and the alarm woke the roommates in time. That unwrapped gift may have saved their lives. Len’s team at the Surrey Fire Service goes door-to-door in the city’s neighbourhoods with the highest risk of fire. They check for smoke alarms, and if needed, they’ll install a new, battery-powered one (one that also includes carbon monoxide detection) for free, right then and there. They also distribute fire safety information – in English and Punjabi – and sign people up for the HomeSafe program. The program includes another home visit, with information on cooking safety, fire escape plans, fall protection for seniors, and much more. 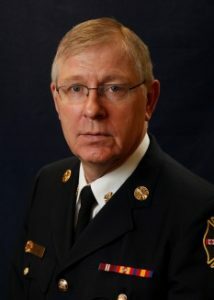 Len is part of the BC Smoke Alarm Movement, which formed in 2012. Their goal is to ensure that every home in the province has a working fire alarm. They’ve distributed and installed more than 41,000 alarms during the past three years. Research shows things have improved but we still have a long way to go. According to this 2015 report, Smoke Alarms Work, But Not Forever: Revisited Successes and Ongoing Challenges from BC’s Working Smoke Alarm Campaign, the rate of deaths per 1,000 fires was 37% lower in 2012–2014, compared with 2007–2011. The rate of fires where functioning smoke alarms were present increased by 26%. The rate of fires without any smoke alarms decreased by 17%. Yet there were still 63 deaths in the 2012–2014 period. For more information on how fire service professionals are making evidence-based decisions on where to focus prevention efforts, see Fire statistics in Canada, Selected Observations from the National Fire Information Database 2005 to 2014. Also, read my post When did you last check your carbon monoxide detector? 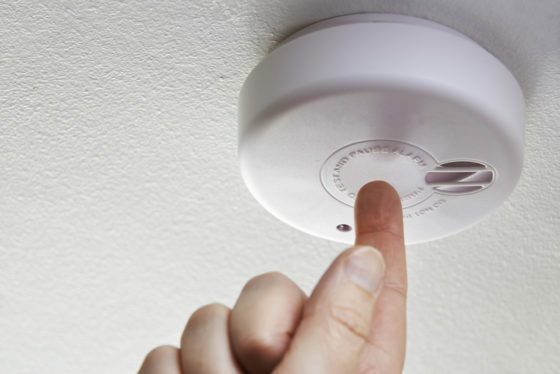 If you’re a landlord or your residence happens to be part of a Strata Development, you will be required to test your smoke and carbon monoxide alarms ANNUALLY to CAN/ULC-S552-14 (Standard for Inspection, Testing, and Maintenance of Smoke Alarms), when the 2015 published edition of the National Fire Code is adopted in British Columbia in 2018. There are some additional requirements in BC’s Rental Tenancy Act regarding smoke alarms that Landlords must also comply with.